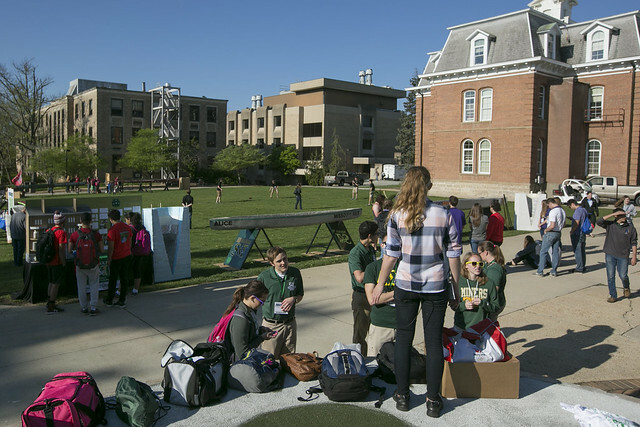 Students from 15 colleges and universities across the Midwest descended upon Rolla on April 21-23 for the American Society of Civil Engineers’ annual student conference. 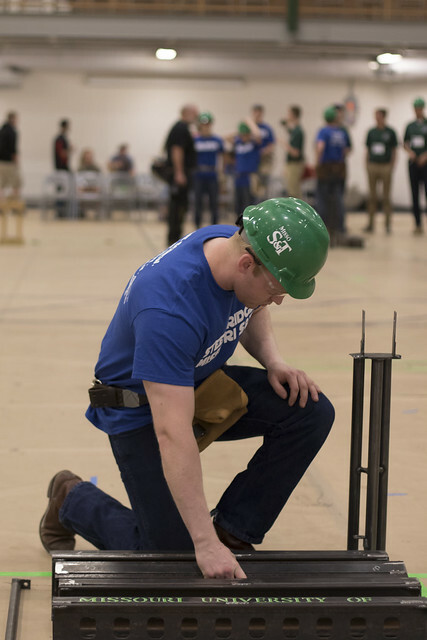 As the conference host for the first time in more than a decade, S&T took advantage of a “home court advantage” to shine with a second-place finish for the Steel Bridge Team and a seventh-place finish for the Concrete Canoe Team. The Steel Bridge Team will advance to the national competition on May 27-28 at Brigham Young University in Provo, Utah. View photos of the steel bridge and concrete canoe competitions. For a complete list of upcoming design team competitions, visit design.mst.edu. Ten of Missouri S&T’s most distinguished graduates will be honored as Alumni of Influence on Nov. 5 during a gala at Hasselmann Alumni House. Read more about our 2016 honorees at influence.mst.edu. For more information on the celebration, contact Sarah Jones at jonessarah@mst.edu or 573-341-6359. Congratulations to OGS member Gail Dolan Hahn, ChE’82, who was honored with an Award of Professional Distinction in chemical engineering during Missouri S&T’s spring commencement on May 14. Thank you to OGS member Bob Brinkmann, CE’71, for his leadership as 2014-16 president of the Missouri S&T Board of Trustees. Joseph Rupp, MetE’72, began his term as president in April, with OGS member Thomas Voss, EE’69, as vice president. We are also pleased to welcome to the board OGS members Tim Bradley, PetE’77, Jim Lovitt, MS CSci’70, and Peggy Montana, ChE’76, as well as Sue Simmons, ChE’84. Next time you’re in the Havener Center, drop by the Silver and Gold Room, where a new trustee recognition wall has been installed. You’ll see the names of many OGS members who have served as trustees over the years.